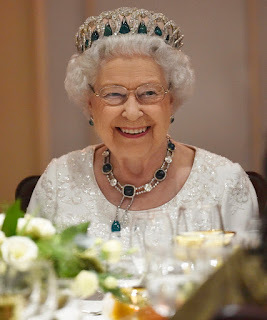 LONDON, England - London is the place to be this summer, with events taking over the city in celebration of the 90th birthday and long life of HM The Queen Elizabeth II. Located just moments from Buckingham Palace, Corinthia Hotel London is situated in a stunning Victorian property fit for royalty, making it the perfect starting point for those wishing to join in the festivity. A number of events will be taking place across London; free and ticketed, informal street parties. Most notably Trooping the Colour on Saturday, June 11, otherwise known as The Queen’s Birthday Parade, this annual ceremony dating back to 1920 marks The Queen’s public birthday and takes place directly behind Corinthia London on Horse Guards Parade. In line with the celebrations, Corinthia London has created a bespoke royal-inspired weekend package. The package includes a meet-and-greet by our VIP Guest Relations team, access to the divine realms of London’s largest spa, ESPA Life, and a three-course Royal Tour through Corinthia London’s world-class eateries. In addition to the Royal Package, Corinthia London will host a special Jazz Brunch in The Northall on Sunday, June 12. A feast fit for royalty, the menu is inspired by the lavish 1920s, the decade of The Queen’s birth. Dine to the sound of a live jazz band and join us as we raise a toast Elizabeth II, the longest reigning monarch in Britain. Housed within a Victorian building, Corinthia Hotel London features 294 rooms, including 40 suites and 7 penthouses, offering sweeping views across London’s most popular landmarks. Corinthia London provides unrivaled world-class luxury with superb ground floor offerings, including The Northall restaurant, serving the best in British produce throughout the day; modern Italian cuisine at Massimo Restaurant & Bar; and the musically-inspired Bassoon Bar. The new Garden Lounge offers all-day dining options in an al fresco David Collins Studio designed garden landscape, and a comprehensive cigar and spirits menu for late night entertaining. Corinthia London is also home to the flagship ESPA Life at Corinthia, a next-generation spa housed across four floors, together with a hair salon by Daniel Galvin. The hotel boasts the largest room sizes in London, original restored Victorian columns and tall windows that let in swathes of natural light. Cutting-edge technology in rooms and meeting rooms allow for recording, mixing and broadcasting from dedicated media rooms. Corinthia London is a 21st-century grand hotel located in the heart of London, created by experts with a passion for craftsmanship and an understanding of world-class service. Corinthia London is the ninth of Corinthia Hotels’ collection of five-star hotels founded by the Pisani family of Malta.